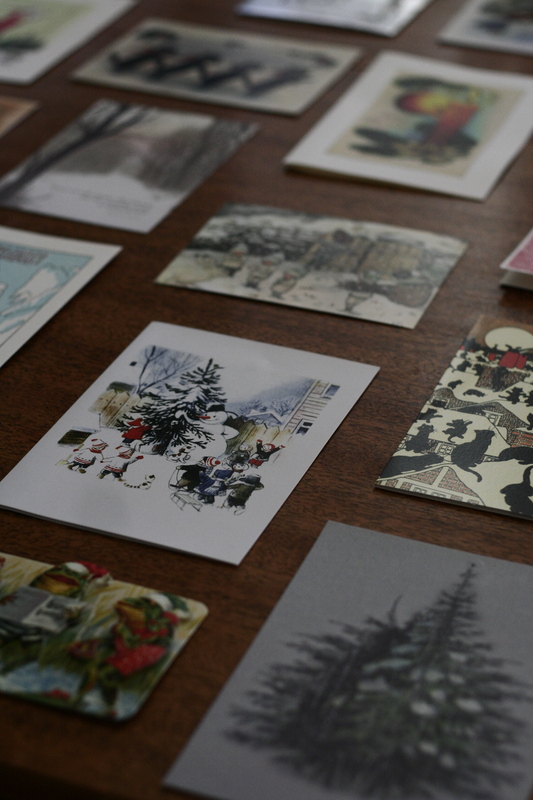 I don’t send out holiday cards. I just have never had enough cash laying around to spend it on something that people are going to (most likely) throw out. 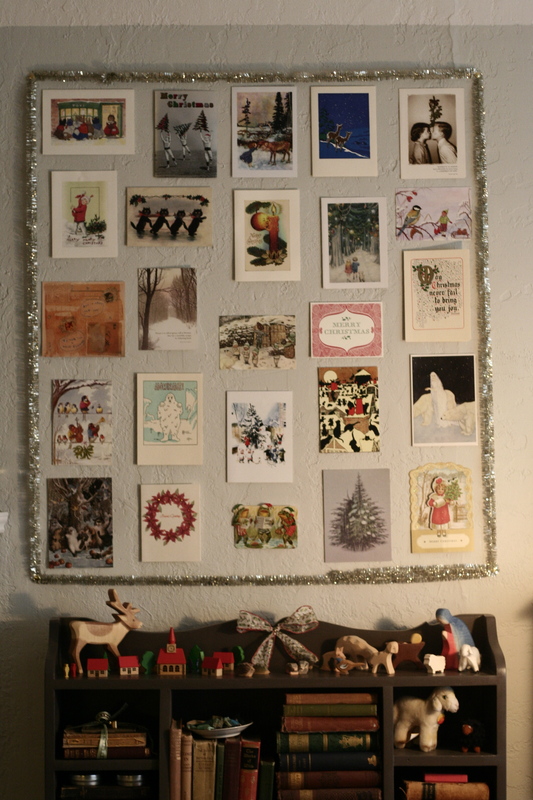 However, I do love holiday cards and so I pick out my own and every year I hang them up. A few of them are cards I have received, but 90% are ones I have purchased for myself. I think this is a much better way to do it, less waste and more happiness. So this year, I had the perfect place to hang them up, but I wanted them to look more official. I thought about framing each one with some decorative ribbon or something. That sounded hard and it meant a trip to the store, so instead, I framed the area I wanted to put them in with some mini tinsel. 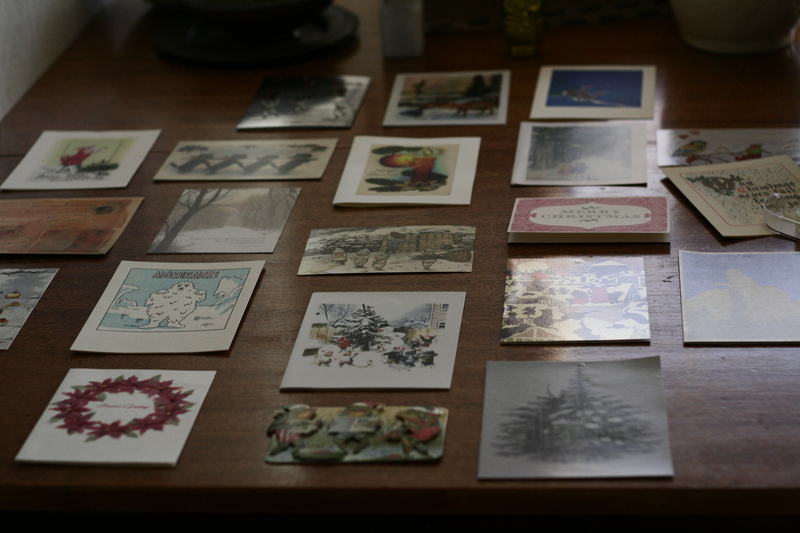 I then planned out how I was going to hang them by laying them out on the dining room table. When I got them all arranged to my satisfaction I began hanging them on the wall. I started with the corners and then the sides, working my way to the middle. I am very happy with the way it turned out. I might add some lights later, for a little sparkle.